There are a lot of different ways to write a resume and plenty of tips on the internet on what to include or avoid in the document. 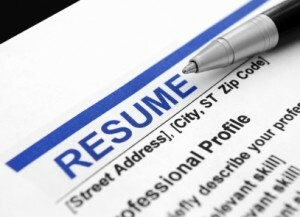 What you must remember is the purpose of the resume is to give you a start towards getting the interview you want. It is a personal marketing tool that you will use to summarize and highlight your skills and experience. Once you are at the interview that is your opportunity to elaborate on your background. 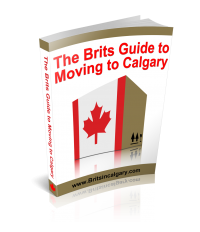 When moving to Calgary, the first thing I would suggest is to speak to somebody that is working in the industry sector you are aiming for before to get their advice specific information to include. Secondly, think about what type of job you are applying for. If it is a permanent position you should think that the employer will want to see how your career has developed to show your potential. If it is a temporary or contract role then it may be better to highlight skills you have and your adaptability. Ensure that you put your full name and contact details including your telephone numbers and email address at the top of the first page. Soon after that, you will need to state what the position is that you want to apply for and your career objectives. Then highlight a couple of achievements that relate closely to the job you are applying for. When writing about your employment history it is very important to put the information in reverse chronological order so your most recent job is at the top. Follow this rule when you are writing about education, training and courses you have attended that are relevant to the industry sector you are in. In regards to describing the job duties, it does not want to read like a full job description. It should be factual and show off your main responsibilities in the position. Your resume is a positive reflection of your abilities and experience so do not put on there anything that could be seen in a negative light. For example poor grades you have received. If you have had a bad experience with a past employer, I would recommend including the information on the resume and highlight the positive aspects of the position. Do not leave employment gaps as this will raise questions by the potential employer. You do not at this stage have to include a list of references, do not put a photograph on the resume unless it is applicable to the industry sector you are in (modeling or acting) and there is no need to list hobbies and interests on the resume either. In Canada, there is also no requirement to add your date of birth, marital status or gender. In terms of the format of the resume, try to stick to one font and an easy to read layout. Also, any spelling mistakes on the resume will immediately put off an employer so make sure you use the spell checker! Remember, you have around 20 – 40 seconds to impress the person reviewing your resume due to the volume of these they see everyday so first impressions count. Your resume should be about 2 pages long; however it is most important to make sure that the first page has current and relevant information on it. If the recruiter or employer doesn’t like what they see on the first page, they are never going to look any further. If you are looking for further help and guidance on this, please contact Hays Specialist Recruitment on 403 269 4297. Thank you Ellisa for sharing this useful information about Resumes- one of many things its helps to be aware of, when applying for jobs in Canada.